Please click here if you're having trouble viewing this email. Our family always enjoys being with y'all, but in particular I have to say that, as a devoted fan of IPAs, there's simply no place better. Tectonic Imperial IPA has my heart, but I love all the variety and creativity that goes into the range of IPAs you offer every year. If you guys ever leave town, watch out. I'm following you. It is such a great pleasure to hear such positive words applauding our hard work. We put forth great effort to make the best beers found anywhere on the planet. We are in great debt to our brewery friends who share our appreciation of our craft. We will continue our constant but never ending quest for the truth in beer -- we won't quit until we reach this unobtainable goal. We look forward to enjoying a pint with you. It’s been one heckuva winter with loads of snow which is great for our drought, but not good for those in need of warm winter clothing. 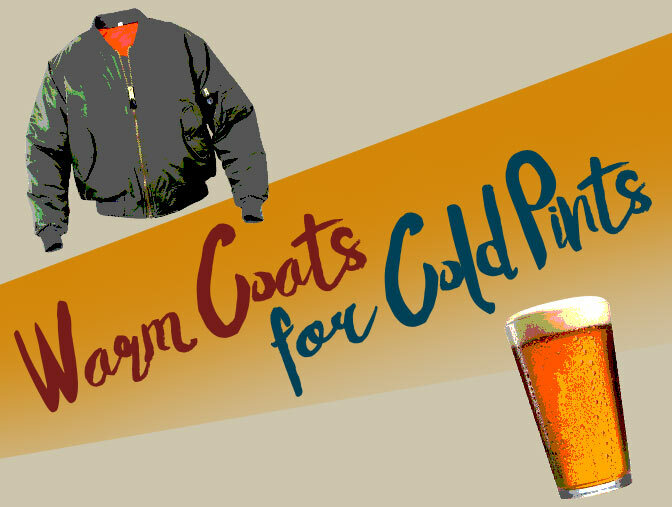 That’s why together with our friends at the Salvation Army, we'll be having a coat drive on February 1st at both Reno and Sparks brewpubs. Bring down warm clothes and coats for our neighbors in need and we'll give you a free pint of Great Basin beer or glass of house wine. Let’s make our community a little warmer. 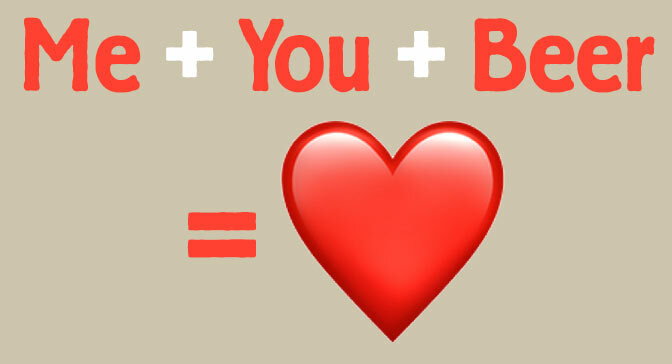 Valentine's Day is almost here and, if you’re like us, the only way spending time with your true love could get any better is if you had a craft beer to boot. We’ll be doing our part to put some love in the air by serving up romantic Valentine’s Day food specials on Tuesday, February 14th. We'll also be offering limited reservations at our Reno brewpub on Tuesday only. Call us at 775.284.7711 to reserve your spot today. Just like always, we'll also be serving pints of our decadent Death-by-Chocolate Stout & Liplock Lager. 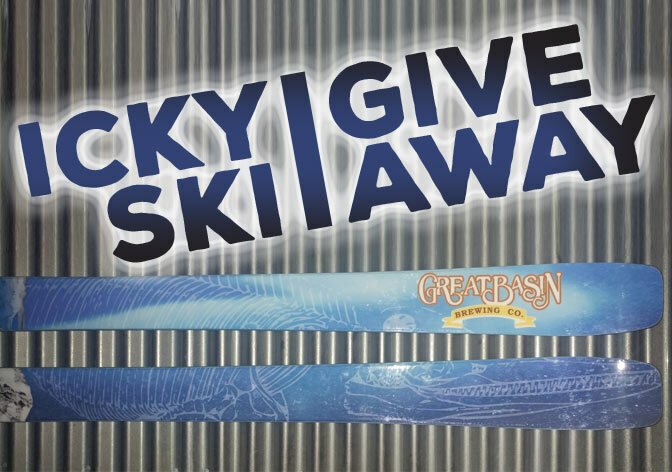 We’ve been taking entries for a few weeks in our Icky Ski Giveaway and they’re really starting to pile up! 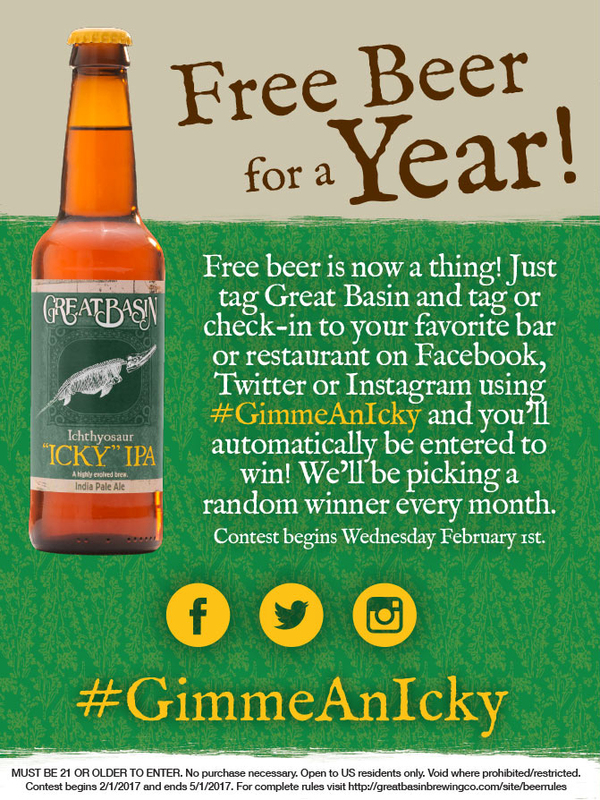 Every time you order any of our craft brews on Wednesdays until February 15th*, you'll get an entry to win a pair of Great Basin Icky Edition Moment Deathwish skis. We’re giving away a pair at both Reno and Sparks brewpubs, so you can improve your chances by imbibing at both. 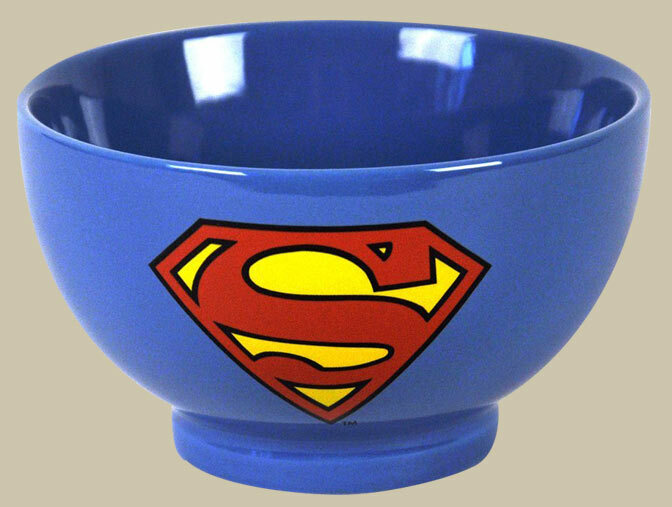 We’ll be giving away runner-up prizes that include Mt. Rose lift tickets, swag, and more! Come down and enjoy our brews, and get your entries in! * Entries accepted until 15 minutes before drawings are held. “The Game That Shall Not be Mentioned” (trademarks, ya know?) will be here before you know it. Sure, you could punt and get some store bought frozen pizzas and beer that comes in 96 packs, but you’re better than that. Go for the W with craft beer and fresh, hand-tossed pizzas from Nevada’s Oldest Brewery. 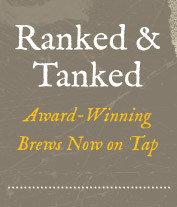 Grab growlers, bottles, and cans of Great Basin craft beer at both of our breweries. In Reno, call ahead to pick up any of our pizzas, ready to go, cooked or take-n-bake. Don’t get the Yellow Fizzy Beer Blues during the game, go for the touchdown with award-winning Nevada craft beer from Great Basin Brewing. The newest release of our Scytale Barrel Aged Imperial Stout series is just around the corner. 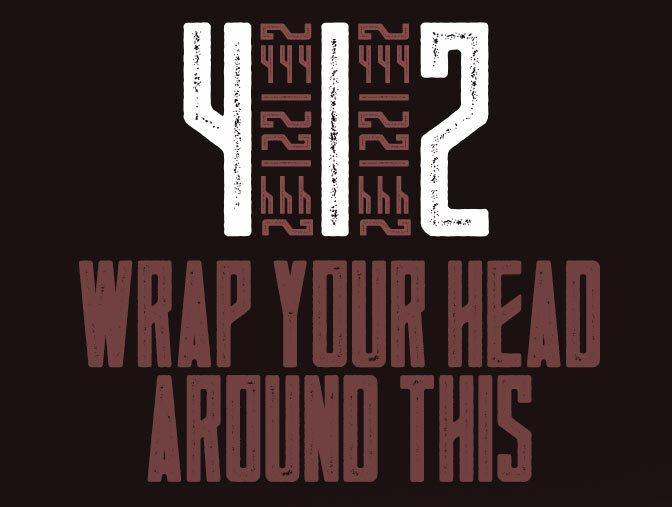 412 Scytale will soon be released from the oak bourbon barrels that it has been aging in for, what will be, exactly 412 days. Mark your calendar for these upcoming Great Basin events! Check us out on Facebook and Twitter for the latest events we'll at. This email was sent to [email address suppressed] to unsubscribe from further messages please click here.